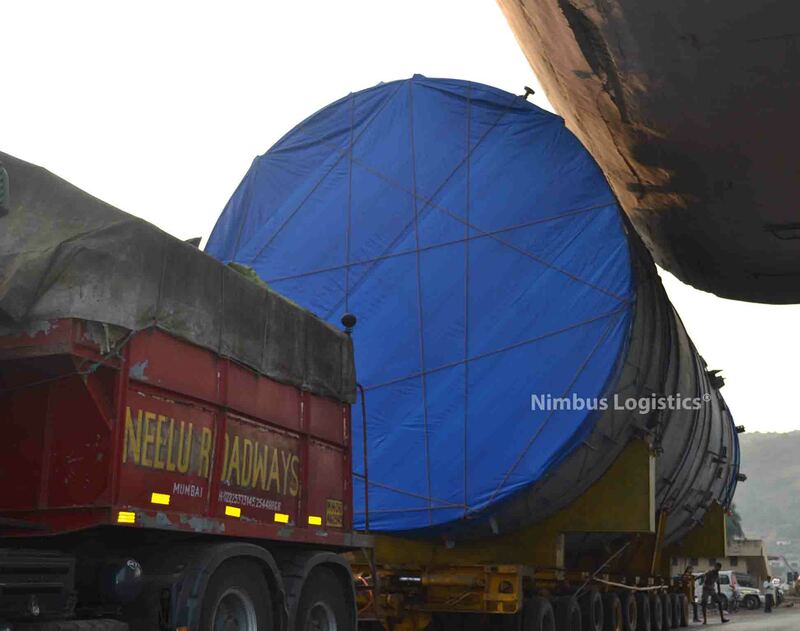 Here we discuss the definition of Overweight Cargo or OWC and vehicles available for transportation of such unique requirements. What is the definition of OWC or Heavy Cargo? A standard vehicle with highest GVW is an articulated Trailer. 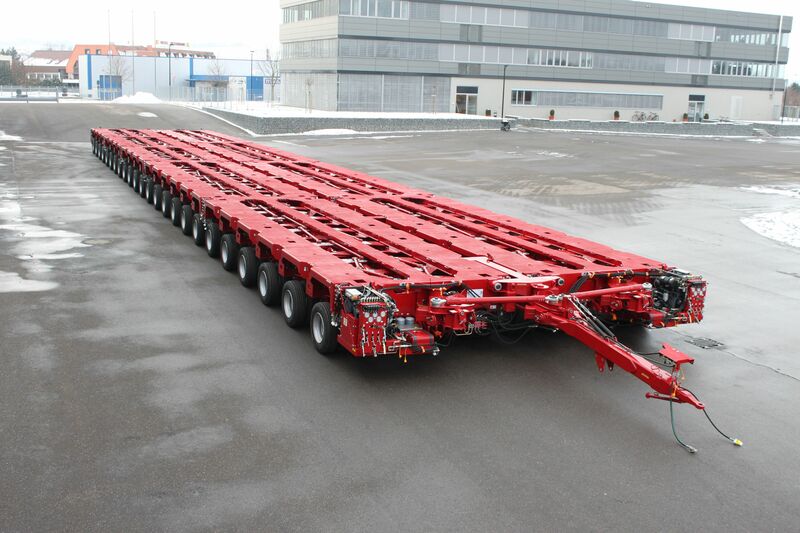 A trailer having a double axle in the prime mover and triple axle in the trailer has a GVW of 49 tons. Trailer’s tare weight equals 15 tons approx which allows a maximum payload of 34 tons. Any load weighing over 34 tons cannot be transported on standard vehicles and is know as Heavy Cargo or OWC or Overweight Cargo. How can OWC be transported? Heavy Cargo transportation is done on a special equipment known as Hydraulic Modular Trailer or as is commonly known, a Hydraulic Axle Trailer. Hydraulic Axle Trailer is used for any loads heavier than 34 tons. Hydraulic Axle have 8 tyres in a single row, having a GVW of 18 tons and tare weight of approx 4 tons per axle/row. This allows a payload of 14 tons per axle. 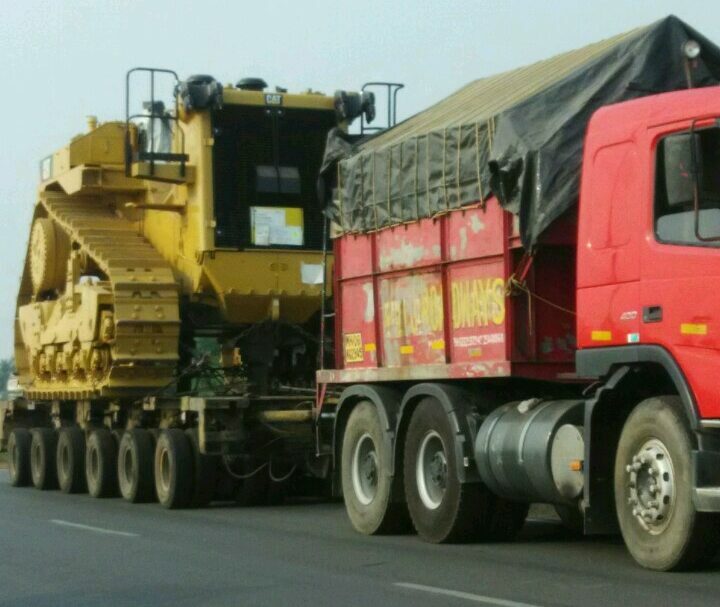 Caterpillar Dozer being transported from Mumbai Port to Angul weighing 72 Tons. MAN 400 Puller + 6 Rows Hydraulic Axle – Nimbus Logistics. What’s unique about Hydraulic axles is its modularity. These routes can be combined to create a Hydraulic Modular Trailer having 4 rows to any number of rows demanded by the application. This theoretically allows for carrying loads weighing in 1000s of tons, as long as it’s coupled with powerful enough combination of pullers to tow the load. These axles can be combined longitudinally well as laterally. 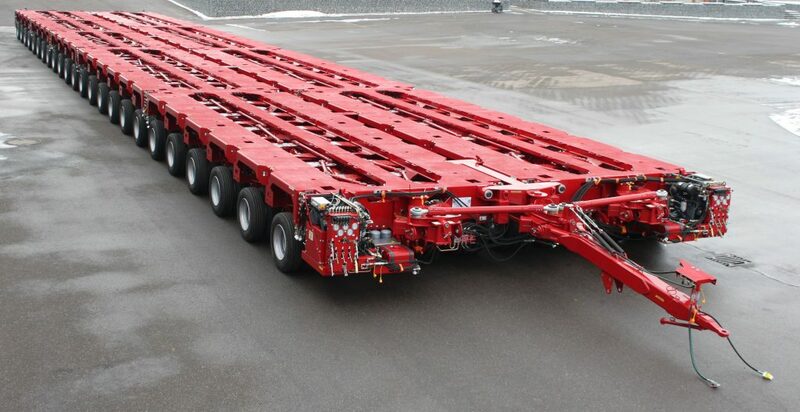 Multiple Hydraulic Trailer Modules combined lengthways and sideways to form 24 rows x 16 wheels in a row, Trailer. Unique cargo requirements like a very heavy cargo with a very small footprint or a very large footprint with relatively lighter weight or overweight cargo with extreme heights are taken care of by many available options of custom attachments. 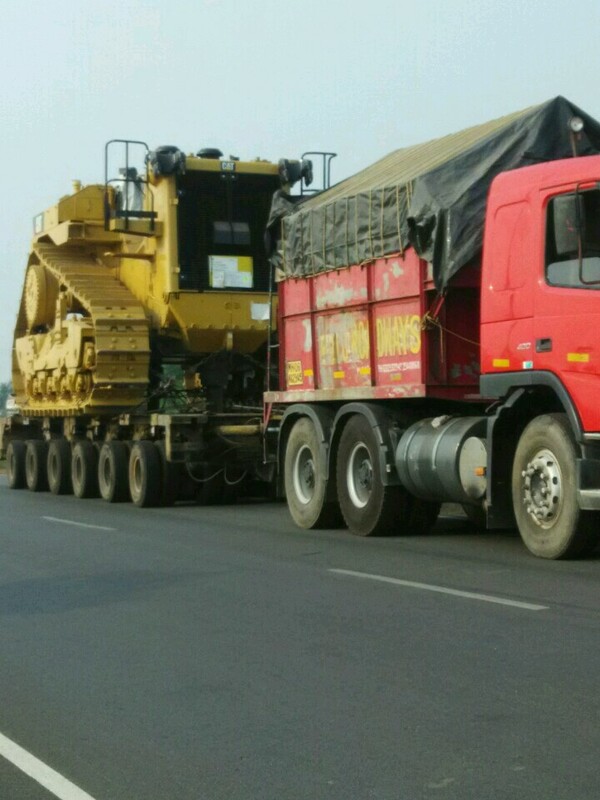 These attachments and technicalities of heavy equipment transportation requires a separate article of its own and will be discussed in much detail later.